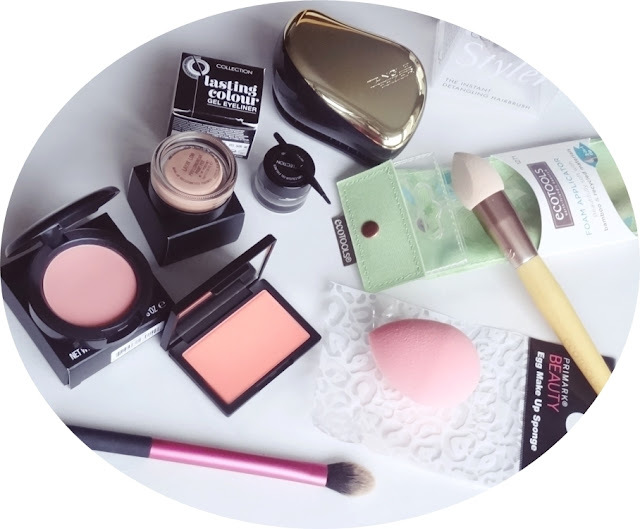 Indian Vanity Case: New Year Makeup Haul | A New Blog In The Making! New Year Makeup Haul | A New Blog In The Making! We went out partying with friends last night, came home a little after 12:30 am. That's quite early, but we started at around 7:30 pm. Didn't get time to click my outfit, but I will re-wear it some day. You should have seen me run around looking for a skirt & then get ready like a hurricane! So exhausting. So much hype around NYE, then you look back and wonder why you even bothered so much. MAC ProLongwear Blush Rosy Outlook & Paint Pot Layin' Low ~ I went to MAC in Glasgow, and picked up these two. No more MAC now until Delhi. Sleek Makeup Blush Life's A Peach ~ I forgot I use to own Pan Tao, and was glad they're not the same. Tangle Teezer Compact Styler Gold ~ A revolutionary detangling hair brush that won't tug on your hair. I LOVE! Believe the hype. Eco Tools Sponge Applicator ~ Makeup sponge on a stick! I saw it in Boots and immediately picked it up. Yet to try it out, but I really hope I'll like it. I love the packaging with snap button. This has made me really notice Eco Tools. Primark Egg Makeup Sponge ~ This is so cheap I had to get it. Real Techniques Setting Brush ~ I just got this along with my LRP Effaclar Duo from Escentual last time, coz it was on sale. I like to use it to set powder in little nooks on my face, like undereyes. So, I've hinted last year about something new. I know I keep delaying everything, and a few more things are pending. But this IS happening before I leave UK. A New Blog. It's another outlet for me to post about other things I'm interested in, and also cater to different readers who want me to blog more about this & that. I was confused about the theme and at the same time consider how much I can commit to it, then one day something just CLICKED. It will be separate from this blog, but I will put a link to it in a tab up there below the banner. Since most guessed along the lines of "Mommy", I gotta say it's incorrect. Maybe someday, but not right now. Did I tell you that's like my lil' phobia? The idea freaks me out! Everyone I know keep asking & I just don't know what to tell them. I wish I could blurt things out bluntly like Samantha Jones (SATC). Okay, that's like #1Confession2014. And you think I'm crazy, yeah, you think I'm crazy...."
Wow! Super excited for that. I guess it's going to be a lifestyle blog? Lie just random thoughts on your life, tv shows, hobbies etc with a bit of food related stuff? I'm so excited for your new blog. I had no idea that you were thinking of launching a new blog. I've wanted to start one more blog for so long but I just can't commit to it so well yet. I admire you for doing it. Love you and your blog. Great news. I guess it would b a travelling or DIY crafts blog. Oh that's great news. I sort of have a feeling Ms CZ might be a food blogger next. Ofcourse i could be totally wrong but one thing Im sure about is that whatever ure gonna start will be nothing short of phenomenal!! Im REALLY excited to find out what that is! hey can i use maybelline clearglow stick everyday? wont it hamper d skin? I thought maybe you've gotten some offer to be on TV or something!! Btw I really hope its a fashion blog or maybe a lifestyle blog. Best wishes and a happy new year.. Fashion Blog? Or maybe a... well, Food Blog? I hope its both? 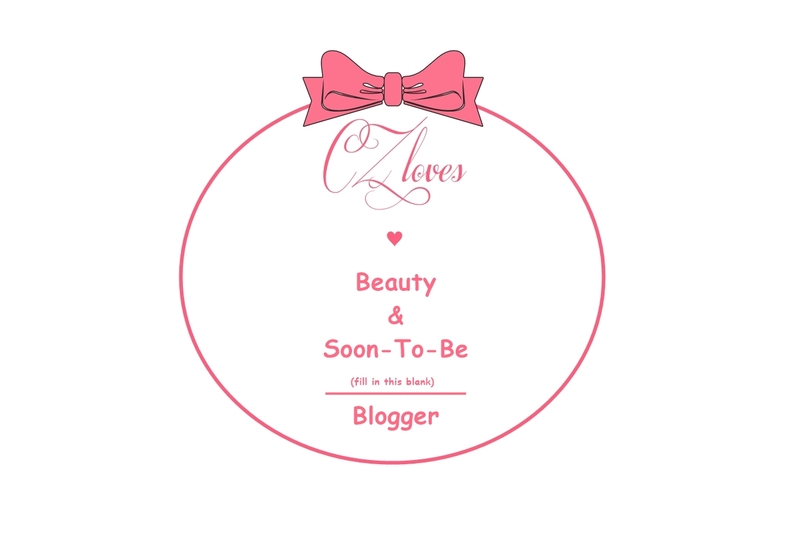 Waiting for the new blog CZ..